As day-3 reporting model has proved to be an effective mechanism for reporting cases by SMS, and in light of the move towards the elimination of malaria in Cambodia, it has been decided to scale up the system day-0 reporting of all Pf cases from VMWs and health facilities. 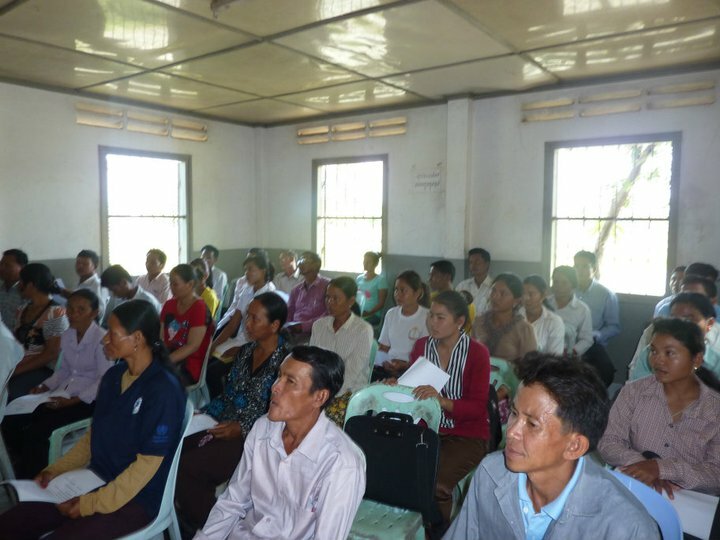 As the number of cases will be higher for day-0 than day-3 and given the probable need for more widespread implementation it has been decided to move to a more robust internet based platform. 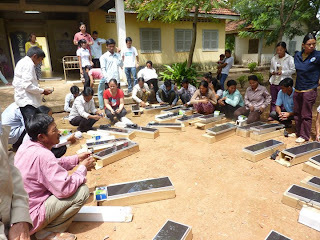 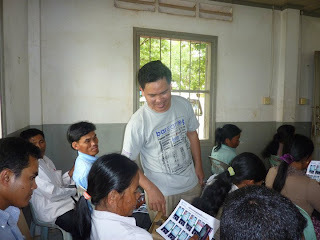 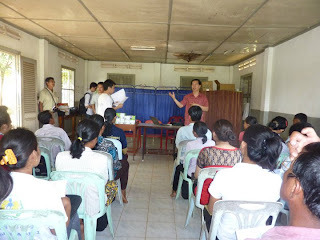 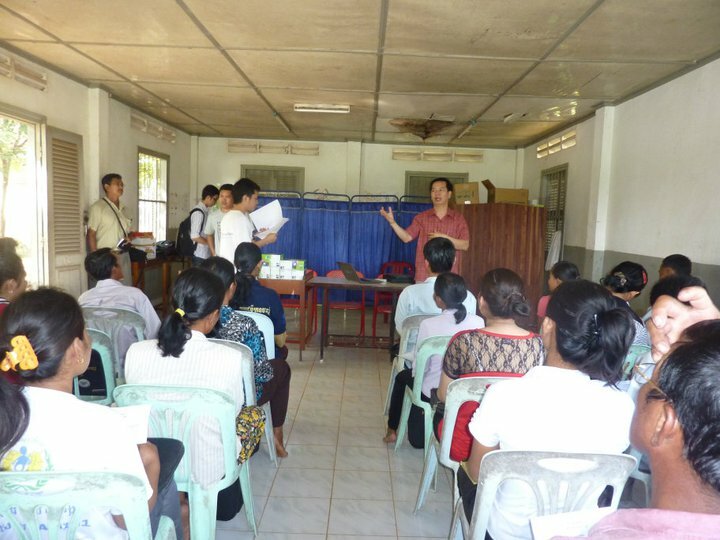 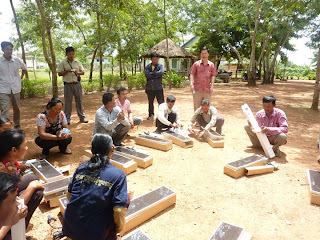 The training has been trained to the user in Kampot province users from 1st to 5th of August 2011. 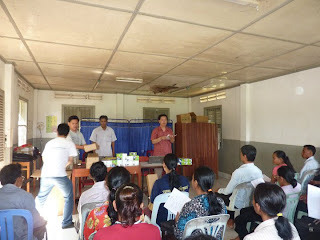 All the user get one cell phone and Mobitel SIM card. 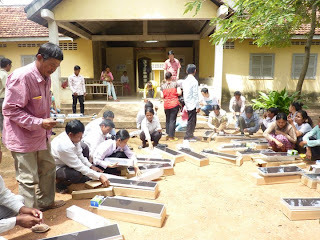 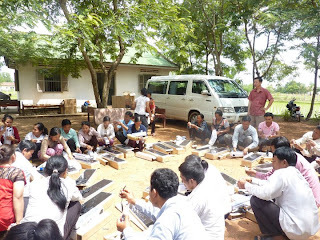 And here are the activities of system training to VMWs in Chhum kiri OD. 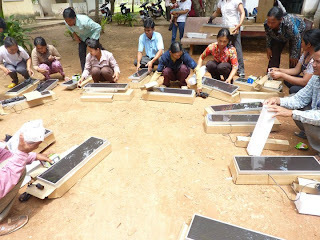 CNM provide solar panel & cell phone with mobitel number for doing report to each VMW. 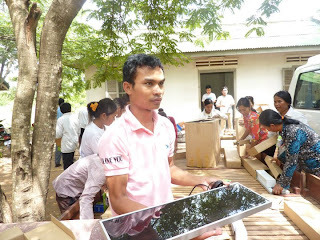 Solar panel is used to charge the cell phone.